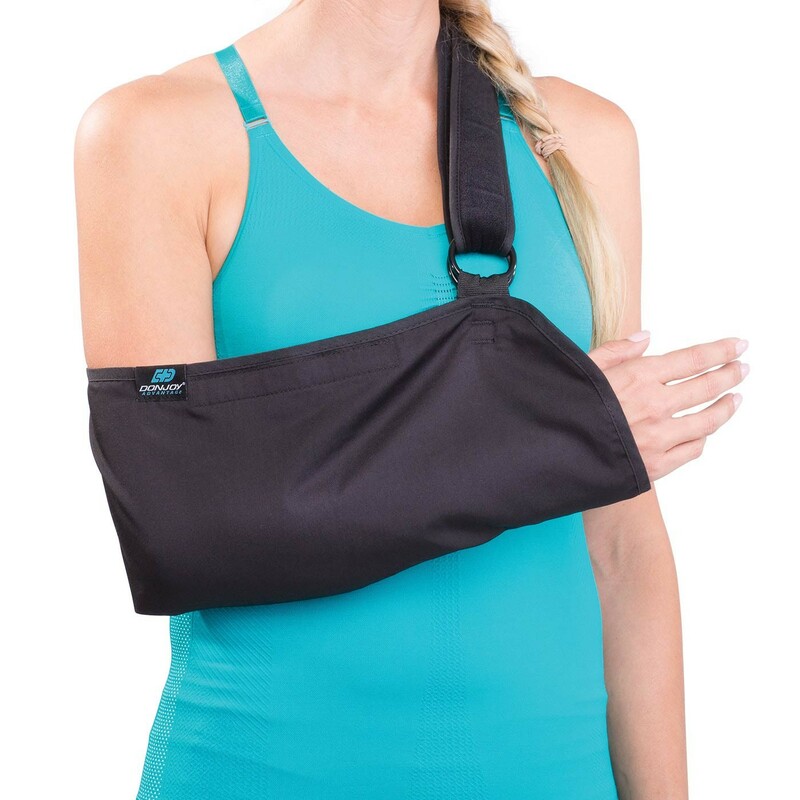 Adjustable arm sling for shoulder/arm immobilization. 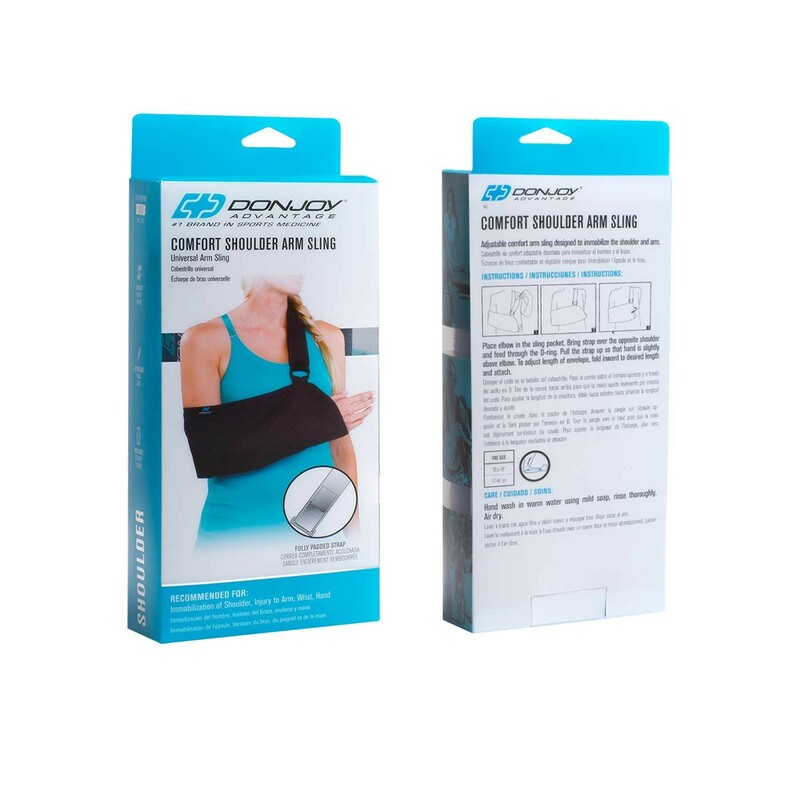 The DonJoy Advantage Comfort Shoulder Arm Sling is an adjustable arm sling that's designed to immobilize the shoulder and arm associated to any arm, shoulder, hand or wrist injuries. 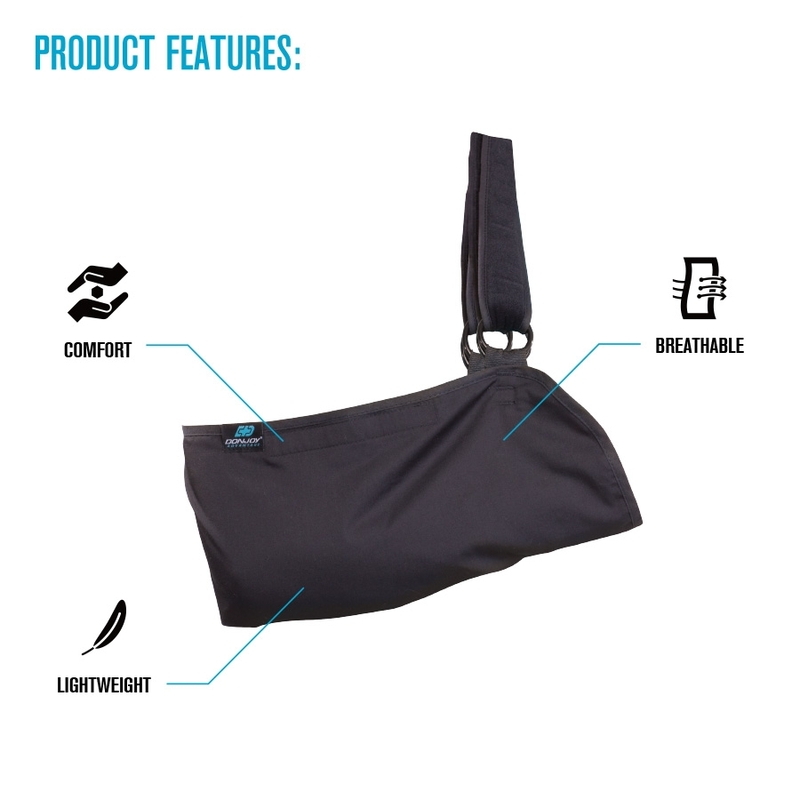 Comfortable and lightweight, the arm sling has a fully padded shoulder strap to eliminate skin irritation. 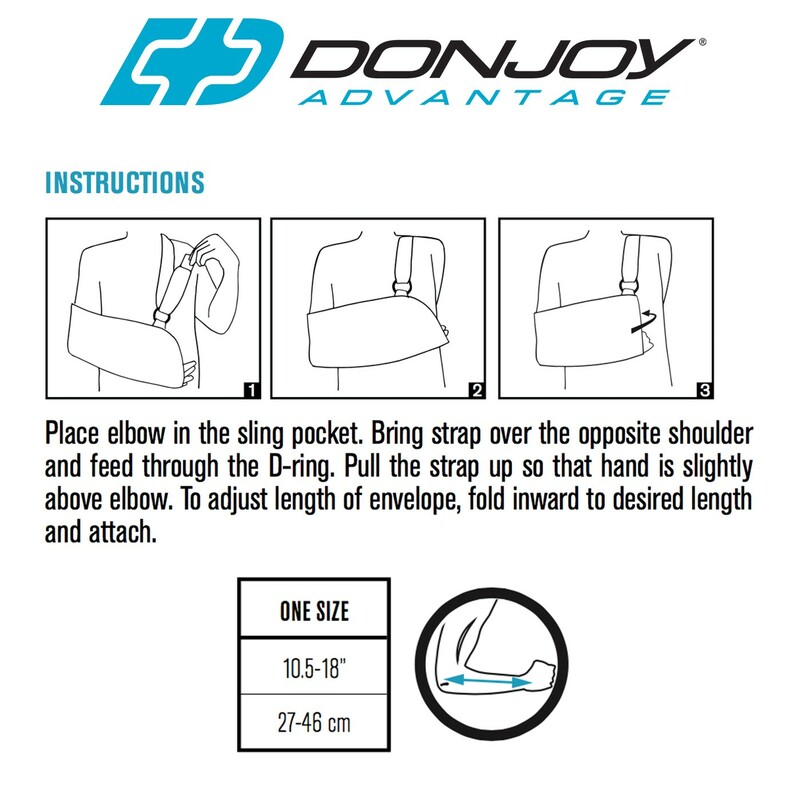 With an adjustable design, personalize the envelope and strap length for a proper fit. Can be worn on the left or right size. One size fits most. Size is based on the length of your forearm; measure from your wrist to your elbow.